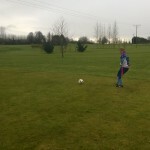 The IFGA domestic FootGolf season started off in a picturesque Kilkenny last Sunday, the 6th of March at Pococke Golf and Footgolf Club. 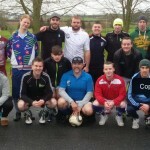 The opening event of the domestic year was a pairs competition acting as a trial with the winning pair being sent to France for the inaugural Euro Cup in April. 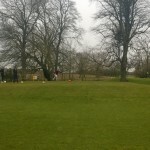 The competition involved two rounds; round one being a fourball with the best score per pair to count and the second round being foursomes so just one ball between each pair. The scores from each round were added together to determine the winners. 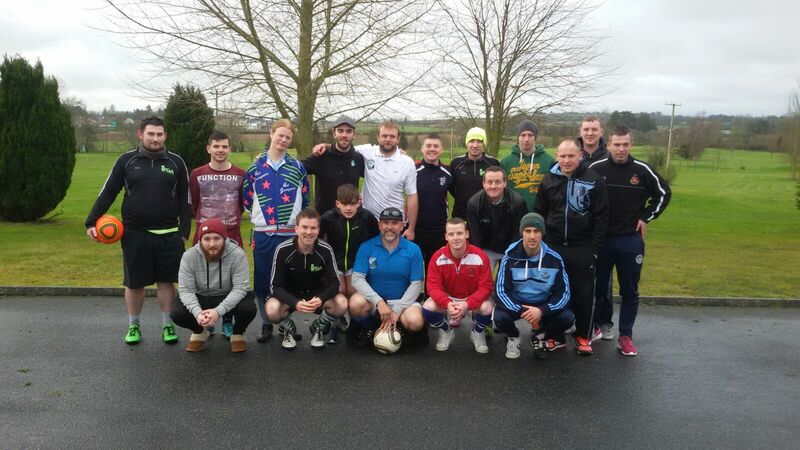 A dozen pairs entered from all over the country including Tipperary, Dublin, Cork, Waterford and even as far away as Spain. Some were making their competitive debuts and others, fresh from their world cup exploits in Argentina, were eager to win the prize. After a random draw and shotgun start in the fourball, scores tumbled and eagles were dropping at a rate of knots. 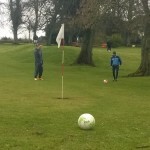 Cork’s Kev Heelan hit a hole in one on the 5th and he and partner Gareth Morcombe (Casares FootGolf Club) cemented that blistering start with 3 eagles in their opening holes. 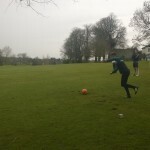 Cian Lucey, also from FG Cork, demonstrated his monster kicking power in the soft conditions. 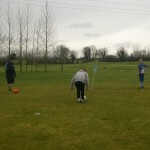 Deer Park FootGolf also had a strong contingent out and Shane McIntyre and partner Eamon Clery (Footee) were unlucky not to lead at half way. Eamon found water on the 8th and both players could only par the 1st to leave them at -15, level with Dean Gibbons pair (Deer Park) just behind World Cup players Ricky Lahart (Footee) and Jimmy Barry (Pitch & Foot) on -16. Kev Heelan and Gareth Morcombe lead after round one with an incredible -17. Round 2 got underway with all eyes on the final few flights. There were only 6 shots between 7 pairs and with the relatively unknown foursomes format, anything could happen. As the first flights came home, the clubhouse leaders Mark & Ollie (both Footee) hit -20 combined. The penultimate flight saw the drama unfold in front of the clubhouse though as Shane McIntyre and Eamon Clery blitzed through the last few holes, leaving their Deer Park rivals behind and taking the overall lead at -26. 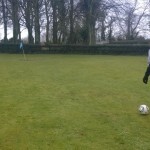 Behind them, coming past the 12th, Ricky & Jimmy had levelled with Gareth & Kev after an up and down battle. But it was here that their pedigree came through as they eagled the 13th and 14th where Kev & Gareth could only par. 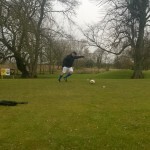 The chasing pair were aggressive but could not close the gap and only watch on as a near perfect display from Ricky Lahart and Jimmy Barry saw them extend their lead as Ricky sank a brilliant birdie using the bank behind the 18th hole to seal a -15, the win and their names on the seats for France.